Audio tracks from many of Lehmann’s master classes are now available: Opera Arias & Scenes; Individual Art Songs and Song Cycles. These are condensations of the Apple iBooks reported below. The founder and director of the Lotte Lehmann Woche, Angelo Raciti, has recently updated their website. Jerry Minkoff sent some Lehmann reviews from the 1930s that you can find in the Latest News section. The iBooks Lotte Lehmann & Her Legacy (Volumes I–VII) are ready to download to your iPad or iMac (they are free!). I’ve been working on this project from 2015 until 2019 and am happy to report that there are hundreds of good-sounding audio tracks, beautiful photos, many videos, and rarities. The never-before-heard Lieder from radio broadcasts can be heard in a chapter called “Rare & Well-Done.” You may have the “Lehmann-Experience” of Schubert’s Winterreise: Lehmann reads each Müller poem, sings the songs, and has provided a painting for all 24 songs. That same treatment occurs for Dichterliebe in Volume II. Volume III presents recordings of Lehmann’s master classes of individual art songs; Volume IV offers master class recordings of art song cycles; Volume V has arias and opera scene master class recordings. Volume VI provides recordings (audio and video) of Lehmann in English-language interviews. We’ve just published Volume VII with the German-language interviews. If you downloaded Volume I before August 2018, download it again for a complete revision: many errors are corrected and new material has been added. This summer we’ll be working on a revision of Volume II. Click on the iBook’s title above and it will take you the place to download it; or just go to Apple’s iBook store and type in Lotte Lehmann and you’ll find the link. There’s no charge. If you have trouble finding the book there, use your browser and type in “Lotte Lehmann & Her Legacy by Gary Hickling” and that will take you to the right spot. Here are the reviews for Volume I in Fanfare magazine. 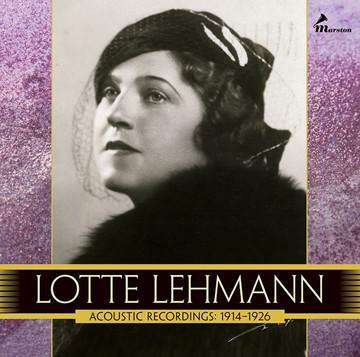 Ward Marston has made all of Lehmann’s acoustic recordings available. He’s working on her electric recordings for Odeon in Berlin. 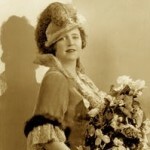 Lotte Lehmann was called “the greatest artist in the world” by Toscanini. Richard Strauss uttered the words that are now engraved on her tombstone: “Sie hat gesungen, dass es Sterne rührte”—her singing moved the stars. Here you can find the latest Lehmann news. You can enjoy Lehmann’s actual singing of every known Lehmann commercial recording. Read what others wrote about her singing over the years. Or here’s just Lehmann’s discography.